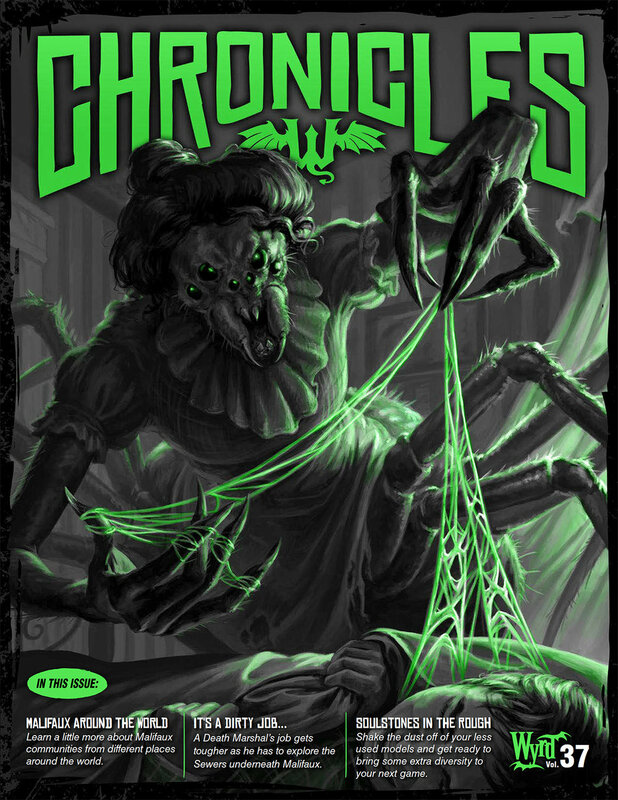 Wyrd Chronicles 39 is now live! Bah humbug. • Strategizing with Stratagems: Take a close look at one of the most important, yet often overlooked, aspects of building a TOS Company! • Speak Now in the Fire: Read the scribbled notes of a professor that went missing when the Burning Man appeared over London. • Community Highlights – Podcasts: Check out some of our favorite Wyrd-themed podcasts, hosted by some of our community’s finest! • Sardana de Vida i Mort: A Domador des Cadáveres enters Malifaux while seeking revenge. • The Night Santa Went Crazy: The Burning Man has corrupted St. Nick in this Operation for The Other Side. • Earthside Dossiers – King’s Empire: Learn the ins and outs of the King’s Empire Commanders, Charles Edmonton and Margaret Belle. • In the Shadow of Titans: A member of the Field Intelligence Corps reports in about his findings on the Titans of his enemies. • The Huckster’s Panacea: A street seller manages to find himself with a rare item, but only comes to realize after it’s been sold. • Holiday Gift Exchange: Get into the holiday spirit with this gift-giving Malifaux story encounter! Happy Tuesday Wyrdos! 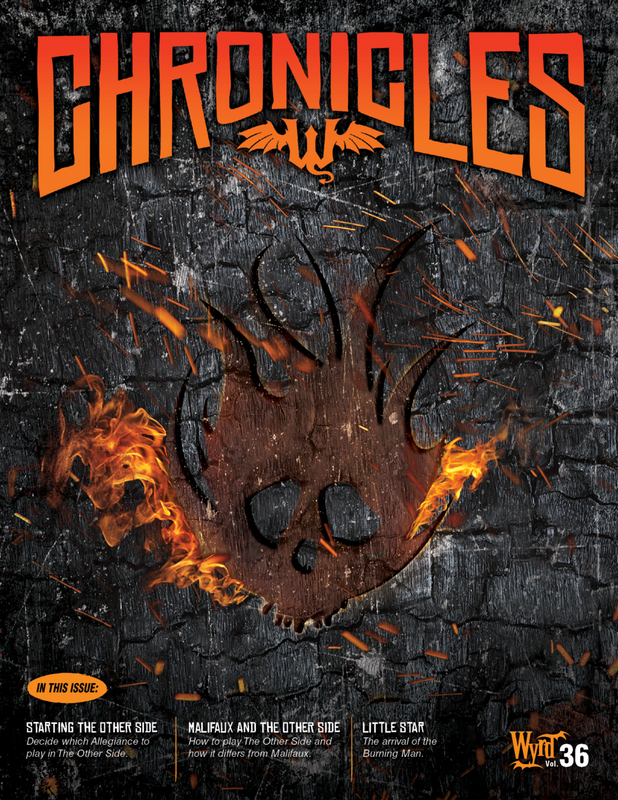 Wyrd Chronicles Vol. 37 is now live! Sorry we're not home, we got caught in the spiderwebs. Starting Malifaux on a Budget – Gremlins: Getting ready for a bayou hoedown? The best advice for throwing together your Gremlin crew can be found right here. Soulstones in the Rough: Shake the dust off of your less used models and get ready to bring some extra diversity to your next game. Augments & Add-ons – The Widow Weaver: Introduce a new predator who stalks the web of Fate to your Through the Breach campaign. The Sundial: When you mess with time, you might find that Time messes back. Community Highlights - Malifaux Around the World: Learn a little more about Malifaux communities from different places around the world. It’s a Dirty Job…: A Death Marshal’s job gets tougher as he has to explore the Sewers underneath Malifaux. You can also head over to our forums to discuss the latest Chronicles! Happy Friday Wyrdos! 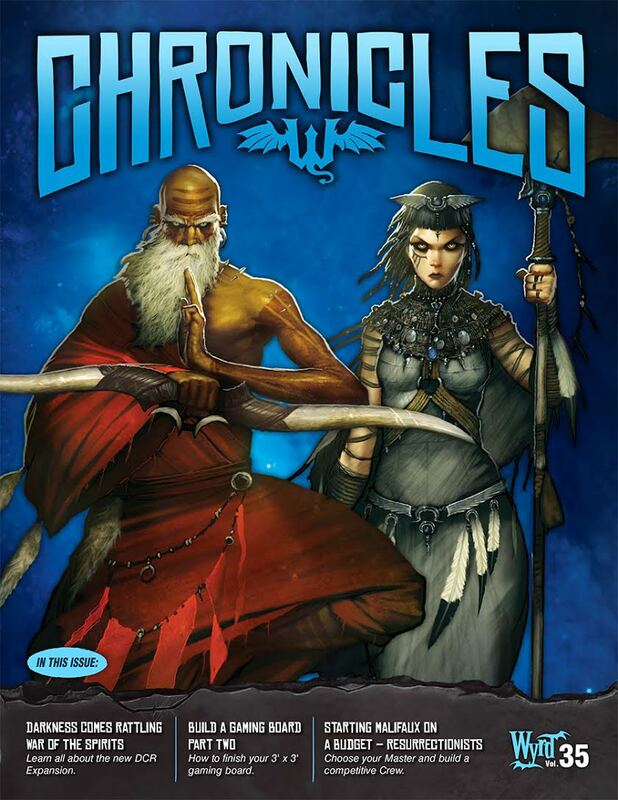 Wyrd Chronicles Vol. 36 is now live! Break on through to The Other Side.